We are a nation of laws. Those laws must be respected and followed! 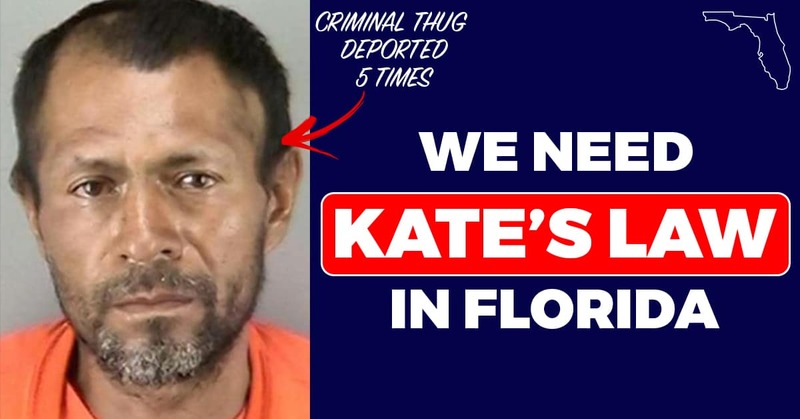 Joe took the lead to get Kate’s Law added to the official Republican Party Platform in 2016. Our country is a nation of laws and we must not allow those who ignore and break our laws to take American jobs, be rewarded with safe habor in our cities & counties, or granted citizenship. Illegal immigration is a serious issue, one that must be addressed. 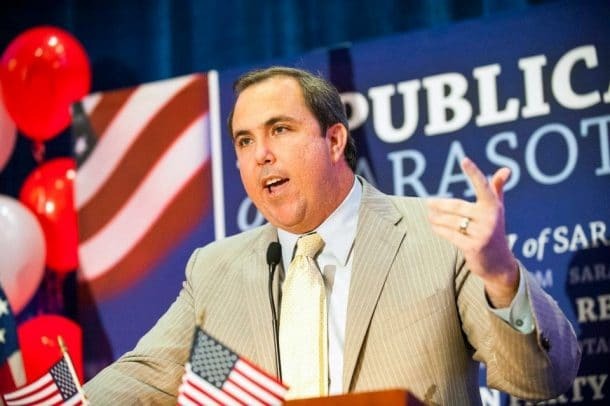 That is why, as a member of the Florida House of Representatives, I’ve taken the lead on the following issues to crack down on illegal aliens! 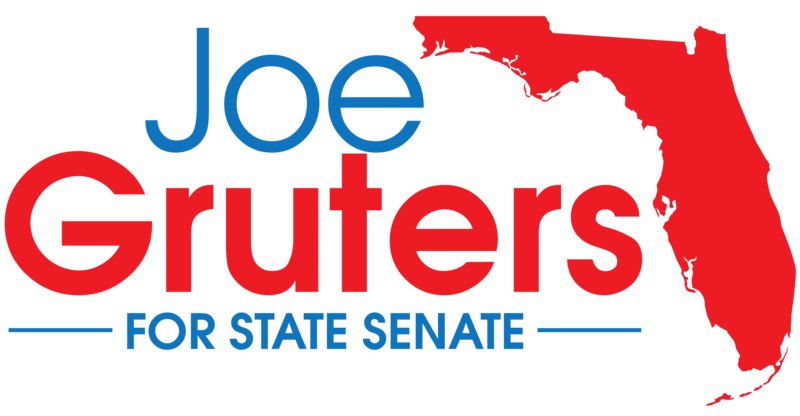 I authored & sponsored Kate’s Law for Florida. This piece of legislation, named after Kate Steinle who was gunned down by an illegal alien felon who had been deported five times, increases the penalties for illegal aliens who try to re-enter the United States. I was also responsible for having Kate’s Law be part of the Republican National Platform, providing hard language in support of increased penalties against these repeat offenders. 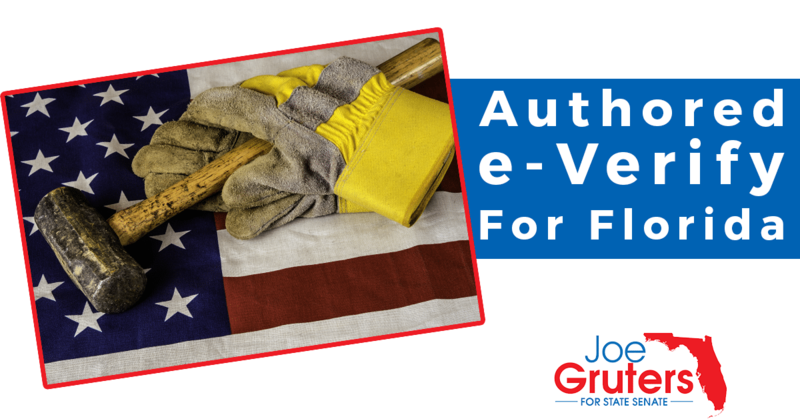 I authored & sponsored E-Verify legislation that requires businesses to make sure they are employing only people who are here legally, which is the right thing to do for working Americans. 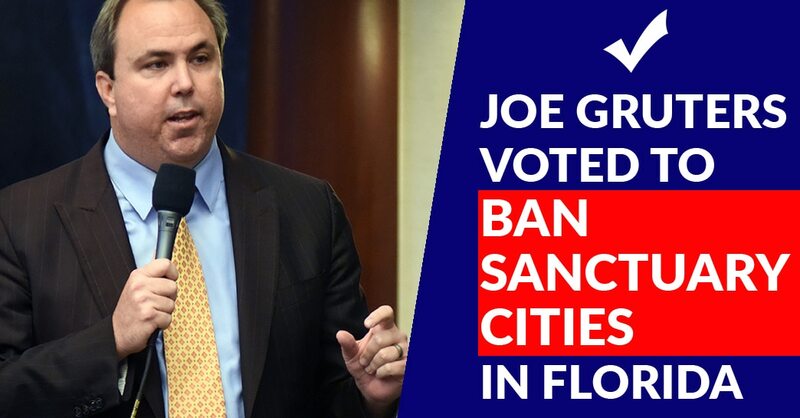 I sponsored a bill to ban sanctuary cities in Florida. Illegal aliens have ignored and broken our country’s immigration laws, the last thing we should do is give them safe harbor in our cities.